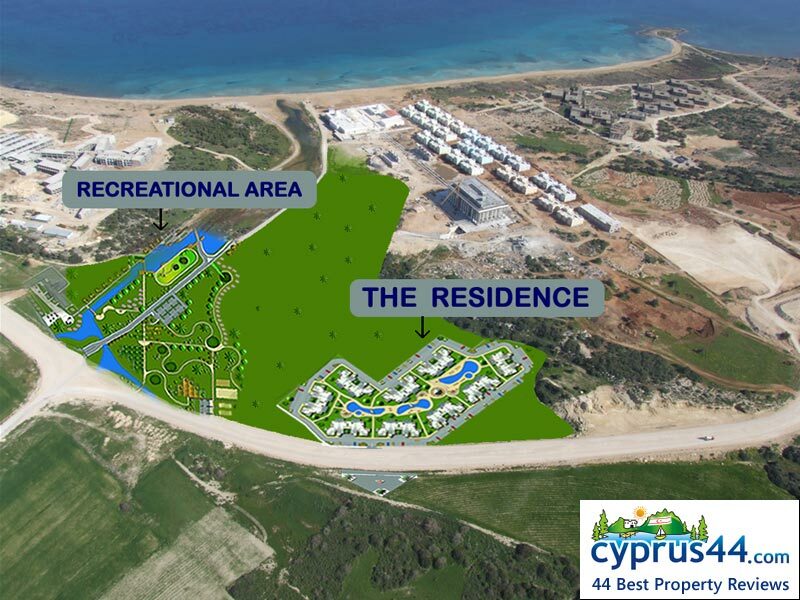 Bafra Beach Resort is one of the best properties listed in Cyprus44 property reviews. The Bafra Beach Resort actually consists of two high-end developments by Avanta Investments; the Heights and The Residence. Only The Heights and The Residence are at Bafra, their other development featured on their web site, The Fairway, is at Esentepe, near the new golf course. Avanta Investments make a very big deal out of the fact that full planning permission and building licences have been secured in advance of construction, which should ensure purchasers will receive their own title deeds on completion, not always the case in North Cyprus. The 152 apartments at The Heights lie just 300 metres from a sandy beach and botanical garden, and just 100 metres from the village of Bafra itself. Bogaz fishing village is close by too, and Ercan International Airport is just 40 minutes drive away. The Heights and The Residence apartments at the Bafra Beach Resort are contained in stylish five storey blocks. Ground floor flats enjoying a private garden area and the penthouses have access to exclusive roof terraces via elegant external spiral staircases. All the apartments have good views of the garden and pool area, and some have sea views as well. In case your chosen apartment doesn't get the best views, you can always take the glass lifts to the top floor and admire the views on the way up! At the Bafra Beach Resort, The Heights' seven apartment blocks are all named after trees, and are grouped around a central pool area in a rough rectangular pattern. Parking is around the outside of the development, so you park opposite your block, rather than actually next to it. It's not a long walk, but the arrangement does give the site a rather regimented feel from the outside. Prices here start from £49.950 for an 81.2 square metre two-bedroom apartment. 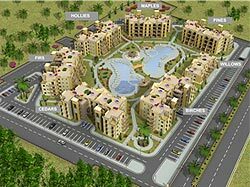 The Residence apartments enjoy a view over a green and pleasant landscaped area beyond the three swimming pools at the centre of the residential area. The nine apartment blocks at The Residency Bafra Beach Resort are named after exclusive property areas in the UK, such as Belgravia and Kensington, and all have access to a nearby recreational area with a lake. The 17 villas for sale at The Fairway development in Esentepe are all within easy reach of the new Korineum Golf Course, hence their name. Certainly you'll get a great view through the floor to ceiling windows, and have space to stretch out in the 117 square metres of living space provided in the larger of the two villa styles. Prices here start at £134,950. Advanta Investment's web site says that there are, quote, "Guaranteed profits to be earned", but this claim is not substantiated. Certainly, apartments prices in this area of North Cyprus are considerably lower than other property hot spots in North Cyprus, but for a reason. 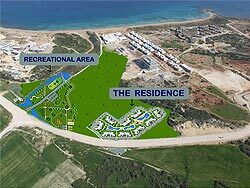 Whilst the government of the TRNC have designated Bafra at the country's first dedicated tourist development area, the infrastructure for mass development is not in place as yet; there are few shops and restaurants outside of the major resort hotels. However, this does not mean that The Residency will be isolated; right next door is the brand new Kaya Artemis Resort and Casino, in all its mock-temple splendor. With no less than five hotel resorts being built on this 5km stretch of coastline, and a bed capacity for 6,600 tourists by the end of 2008, potential investors interested in the Bafra Beach Resort developments should be aware that although all this development affords great opportunities, there could also be a lot of competition for holiday rental clients. Where was Noah's Ark ?? "ACCIDENT": "JCB collided with monument and it simply collapsed..!" Anyone else waiting on edremit heights? Returned from North Cyprus - Fantastic!! This web page is served on 19 April 2019 at 23:51:38.